We are sure that Spark products utilizes high quality materials, like galvanized steel tubes, thick PCV covers, strong jump mat and safety net. Under normal use and service conditions, you and your family will have fun with Spark trampolines for years. We provide 5 Years warranty for trampoline steel frame, 3 Years warranty on jump mat (Excl. print) & Springs and 1 Year warranty on safety pads, net plastic parts and others. All accessories come with one year warranty, except for the free items, like free swing seat and basketball in your order, and 6 months warranty for Spark roof. 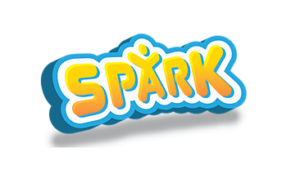 If your Spark is out of warranty and require for new parts, you can call our friendly staffs to purchase new parts at 1300 782 661. If you believe your Spark has problem that troubles you and requires a warranty claim, please call our friendly staff to arrange a solution for you at 1300 782 661.